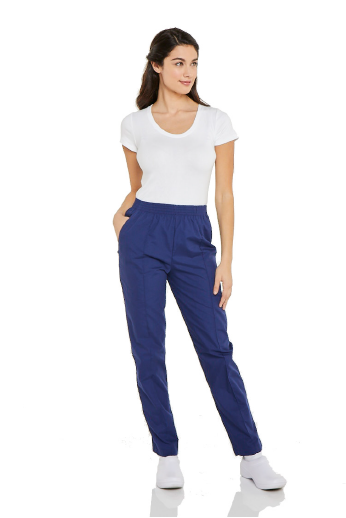 Developed for the professional looking for a uniform as fashionable and approachable as she is. Don’t want to sacrifice style on the job? Our modern fit features a tailored style designed to flatter your shape without limiting movement, so you can be comfortable on the job and off. You want to come across as professional, but understand that doesn’t mean you can’t look fantastic in the process. Our Contemporary fit is ideal for those seeking a contoured-to-the-body fit that still allows plenty of flexibility and easy movement. Designed to complement your shape and give you a style that’s all your own. WAIST: The measurement of the smallest indentation of the natural waistline. INSEAM/INSIDE LEG: The measurement form the top of the inner thigh down to 1" below the ankle bone.